Lee Kernaghan loves his country and his country certainly loves him. Not only has the music star sold more than one million albums and won 28 Golden Guitar country music awards, the SSAA member was also recently named the 2008 Australian of the Year. It is an award that Lee describes as “the greatest honour of my life”. The 43-year-old was honoured with the award for his efforts to assist battlers in drought-stricken communities across Australia. His ‘Pass the Hat Around’ charity tours have raised more than $1 million for those communities. He’s also been a keen participant in the ‘Spirit of the Bush’ music tours - free concerts held in outback Australia that celebrate the efforts of farming communities and raise money for Aussie Helpers - a charity that assists drought-affected farming families across the country. Lee’s work through the concerts is awe-inspiring, but his generosity doesn’t stop there. 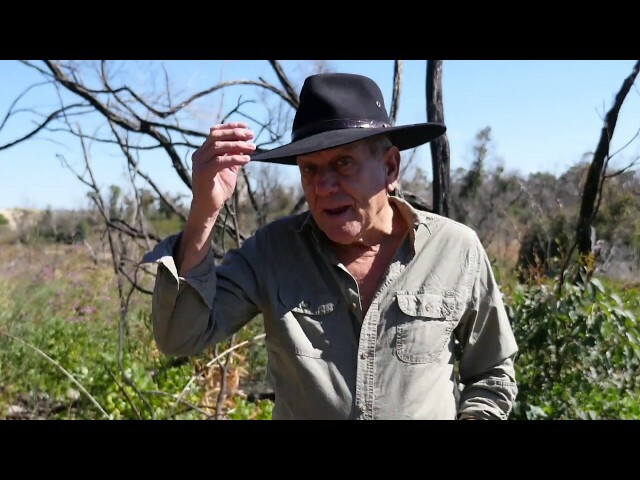 All of the profits from his latest hit, ‘Spirit of the Bush’, which he recorded along with mates Adam Brand, Steve Forde and a slew of new country singers, will be donated to the drought relief fund. The song was written to “salute the farming families who have endured so much for such a long period of time”, said the 2004 recipient. Since its release in July 2007, the single has raised tens of thousands of dollars. Lee, who is also the 2008 Queenslander of the Year, was presented with the prestigious Australian of the Year award by Prime Minister Kevin Rudd in front of Parliament House in Canberra on January 26 this year. Prime Minister Rudd had nothing but praise for the musician. “Lee Kernaghan’s music resonates with every Australian by connecting us all to the spirit of the bush, but more importantly, he gives hope and pride to those on the land when they need inspiration most,” he said. Lee’s profound concern for country Australia is reflected in all that he does and says. When he speaks of the families who are struggling from the drought, it is as if he knows each and every one of them and the struggles they are going through. The money raised from his concerts has been used for bushfire rebuilding projects and flood relief, for aiding emergency services in South Australia, buying air-conditioners for country schools in Queensland and assisting in the purchase of satellite communications equipment for remote ambulance services. The list goes on and on. Lee’s trademark black hat, called the Outback Club, was designed specifically for him by Australian manufacturer Akubra. “I started off wearing an Arena and then I spoke to my mates at Akubra and suggested that they alter the dash a bit and add some eyelets, which made it breath better. They did that and called it the Outback Club hat. I am pretty proud about that because Akubra is a national icon,” said the son of platinum recording artist Ray Kernaghan. But just before the sun was going down, he said he saw the most incredible sight of his life. “To the north, south, east and west were clouds of dust. The sheer remoteness of the place meant that people had to be on the road for hours before they could get to Yaraka.” By 7pm, Yaraka had experienced its first traffic jam as about 3000 people rolled up to raise enough money to buy the medical equipment the town needed. Although he is the 2008 Australian of the Year and a legend in the making, Lee still finds pleasure in the simple things in life - like spending time with his wife and two sons, five-year-old Jet and six-year-old Rock. He likes being out in the bush and, when his schedule allows, target shooting at his local club. “I don’t have much time these days for recreational activities...but I do enjoy shooting off a few rounds with my brother. For me, it is a good mental release,” he says. Lee got his first gun when he was 10 - “it was just a little slug gun,” he recalls. But then when he was 17 and flat broke, he and his cousin Steve bought a lotto ticket. “We won the second division prize - $1000!” laughed Lee. “We went straight down to the gunshop and I bought a Ruger .22.” The Ruger held pride of place for some time, but his new favourite is his Colt Python. “My brother found it in New Zealand and I just love shooting it,” he says. If he had the time to hunt, Lee says he’d like to head out around St George or the Maranoa region in Queensland to help control the feral pig population, which isn’t doing the already struggling farmers any favours. Inspiration for his songs and his charity work comes from the people of the outback, who don’t back down, who don’t give up. Those who know anything about Lee know he’s living in the land he loves and spends his life embracing the ‘spirit of the bush’. SSAA members Lee Kernaghan and Todd Russell shared a moment in the spotlight at the 2008 Perth City Muster in February. Singing ‘The Gambler’ by Kenny Rogers, the two true-blue Aussies had the crowd on their feet. 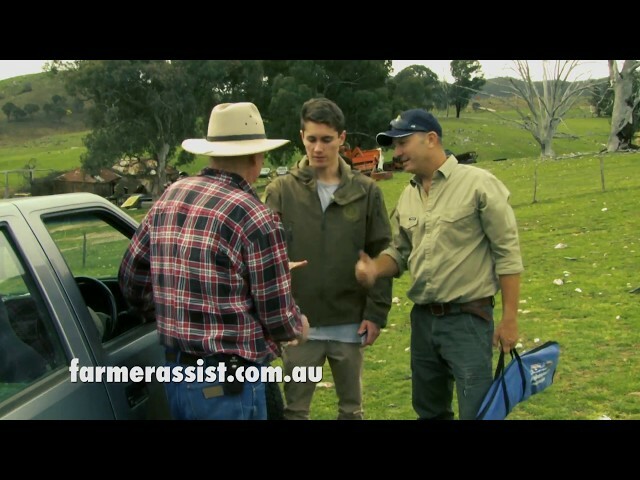 Lee and Todd met in 2006 and established a friendship based on their love of country music, the outback and the shooting sports, as well as their desire to support the real Aussie battler.